Stay tuned & keep your eye on our social media for when Sydney Mazda will hold their 2019 Community Test Drive! Back in October of 2017, Sydney Mazda teamed up with The Children’s Wish Foundation to host its first ever Community Test Drive Event. Both Sydney Mazda and Children’s Wish raised $2,860, making this event the most successful throughout the Mazda dealerships across Canada! 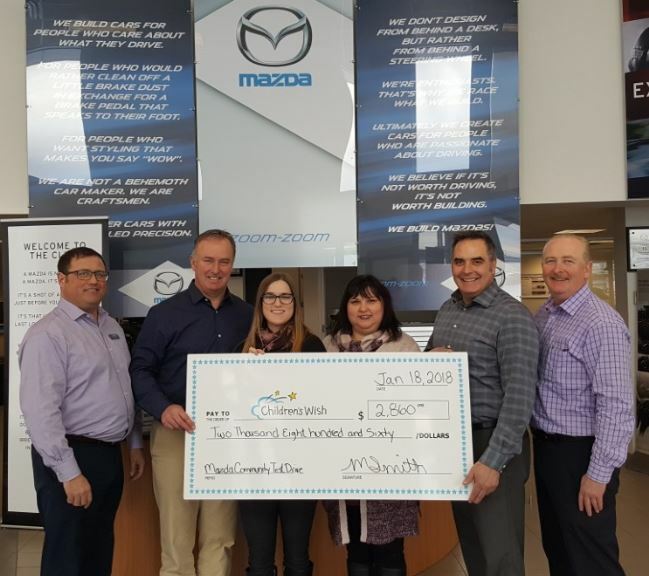 Sydney Mazda would like to take this opportunity to thank everyone who came out to donate their time to test drive a Mazda, and contribute to our donation of $2,860! Sydney Mazda proudly supports local community organizations and are grateful to have been working along side Children’s Wish for this event.